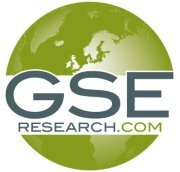 GSE Research, the online scholarly publisher specializing in governance, sustainability and the environment, and Greenleaf Publishing, the leading publisher in corporate responsibility, sustainability and accountability, have announced that they will be working closely together to create the world’s leading independent sustainability publisher. GSE will be investing significantly to digitize the whole of Greenleaf’s backlist – approximately 2,500 papers drawn from across the journals and from nearly 160 books – and provide these through the GSE Research Online Collection. In addition, Greenleaf will be significantly increasing the number of titles it commissions and publishes from 2013 onwards. Founded in 1999, Greenleaf publishes books and book series in the areas of corporate responsibility, business ethics, environmental policy and management, future business strategy and practice, and sustainable development. Or visit our websites: Greenleaf Publishing and GSE Research.